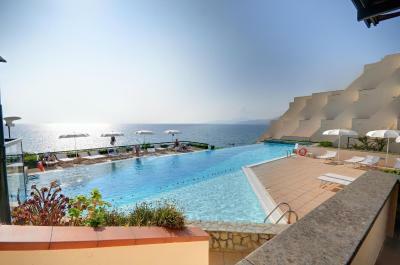 Lock in a great price for Grand Hotel San Pietro – rated 9.1 by recent guests! Cora Cora restaurant 2 miles from hotel. The beaches also 2 miles away were beautiful. 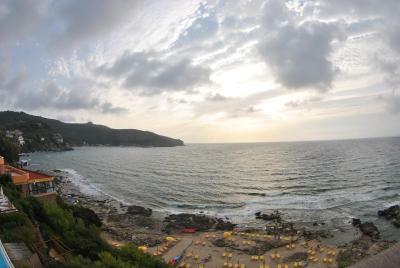 The view from the room of the ocean was spectacular! 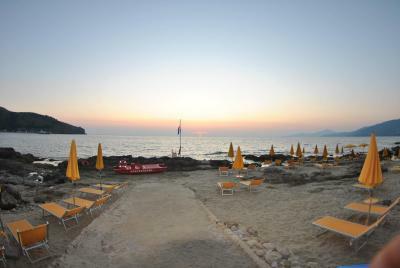 A nice hotel with parking, a swimming pool and a small private beach. It was a short walk in to the main part of town but I chose the hotel for the parking and pool facilities. Helpful and friendly staff. Nice views. Nice breakfast. Really good food in the restaurant. 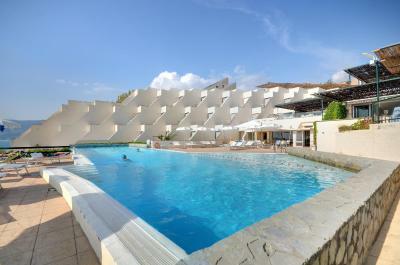 Loved the pool, our beautiful spacious room and bathroom and the location of the hotel. It is very close to a range of restaurants, bars, etc. 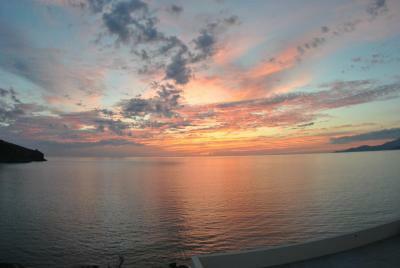 The view from our balcony was captivating. Professional & friendly staff from the greeting at reception, help with our bags, housekeeping, bar staff, waiters & the lovely ladies in the spa. We absolutely loved this hotel- it was quiet as its early in the season but that was perfect for us. Our room (218) had unobstructed views of the sea & room to sunbathe - although there were plenty of sun beds both by the pool & on the little sandy bay. The pool is glorious- warm, 35m long so good for exercise (!) 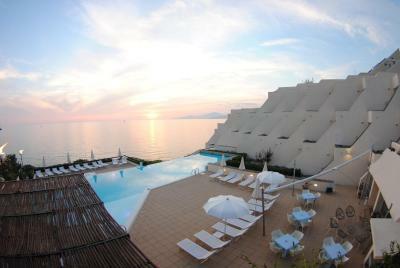 and infinity with views onto the rocks and the marina. The food was beautiful- we ate there every lunch & dinner as we could sit on the terrace and either watch the sea or the sublime sunsets at night. We could walk to the marina (easy walk of 20 mins) where you can get a boat trip to the blue grotto & round the cap of Palinuro- perfect. Pulizia, posizione, servizi, camera, colazione, cibo. 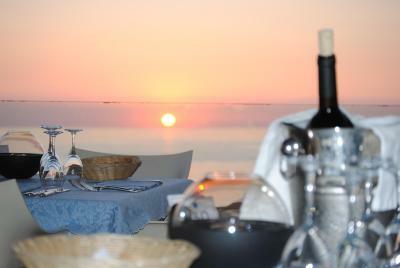 Ottimo Hotel in una posizione fantastica direttamente sul mare. Il balcone di vetro ti permette di godere il panorama al 100%. Mare di scogli molto bello e pulito ( consigliate le scarpe da mare per il bagno ). Personale gentile ed efficiente. 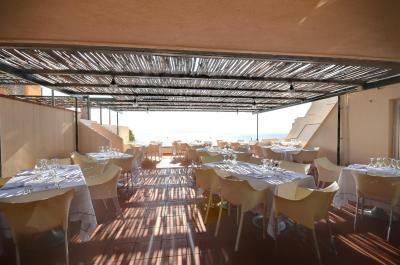 Ristorazione ottima con tavoli direttamente sul mare. Camera ottima. Pulizia ottima. 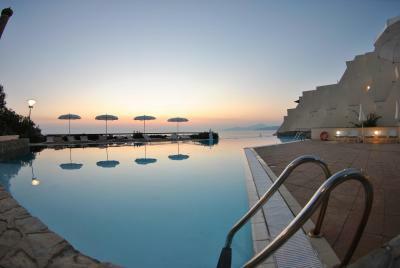 Piscina con vista mare. 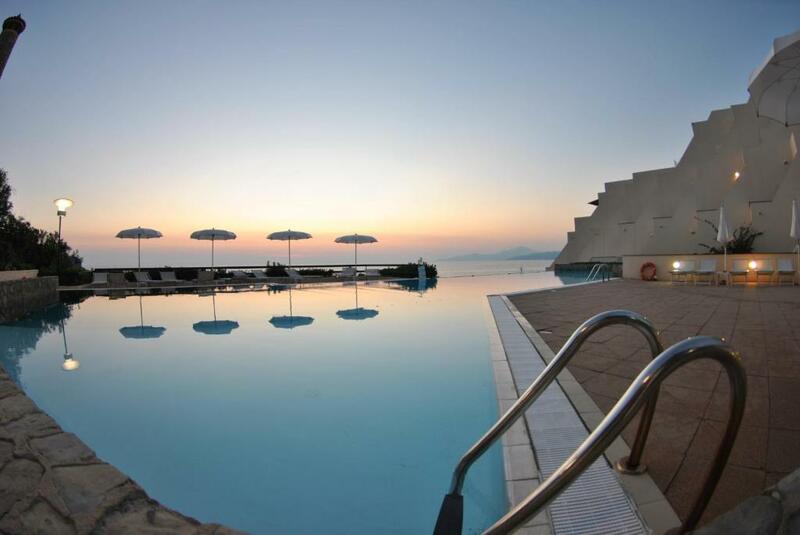 Grand Hotel San Pietro This rating is a reflection of how the property compares to the industry standard when it comes to price, facilities and services available. It's based on a self-evaluation by the property. Use this rating to help choose your stay! 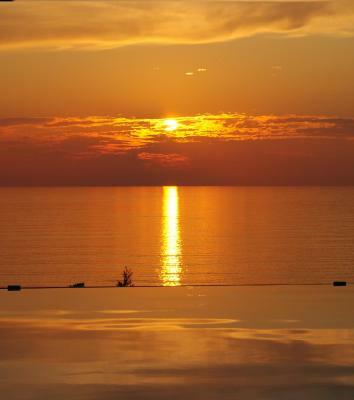 Near Cape Palinuro's main square, this modern 4-star hotel is built into the rocky coast and offers a private pebble beach, free parking, and a panoramic sea-water pool. WiFi is free throughout. 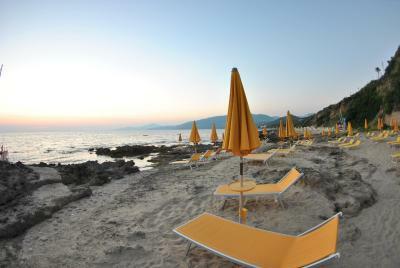 Admire Grand Hotel San Pietro's original design, giving way to the beach where you will find deep, blue waters. 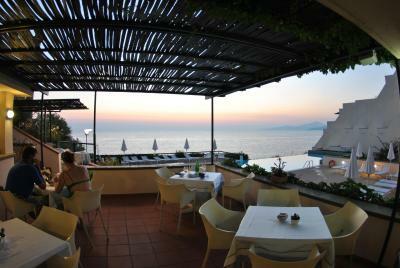 The gentle sloping structure of Grand Hotel San Pietro faces the sea and offers bright rooms with balconies. Most rooms feature sea views. In-room amenities include a mini-bar, satellite TV, and air conditioning. Some rooms include a hydromassage bath. 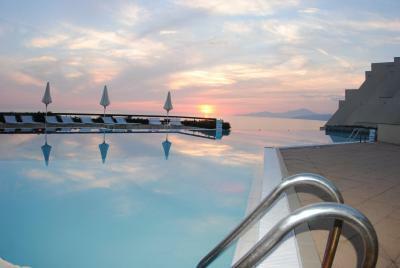 At Grand Hotel San Pietro you will relax in the swimming pool with hydrotherapy features. 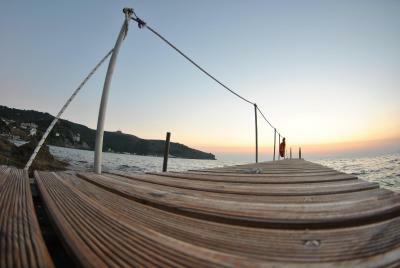 The surrounding sun deck is equipped with sun loungers. Order snacks and refreshing cocktails at the poolside bar. 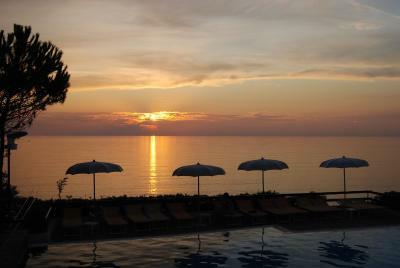 Grand Hotel San Pietro offers a wellness center. 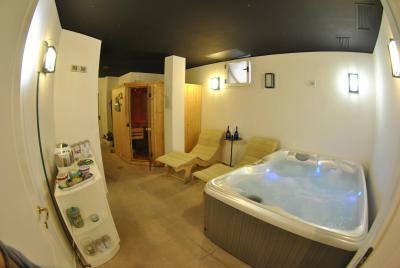 Here you can indulge in a variety of beauty treatments and massages. 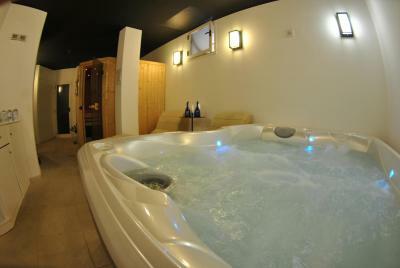 Treat yourself to a relaxing break in the sauna and the Turkish bath. 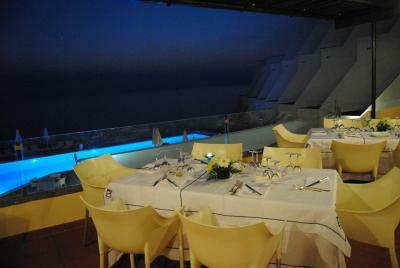 Sample traditional Mediterranean meals at the Grand Hotel. 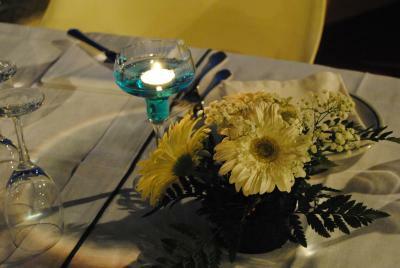 You will have outdoor dining, local specialties and a vast list of fine wines. 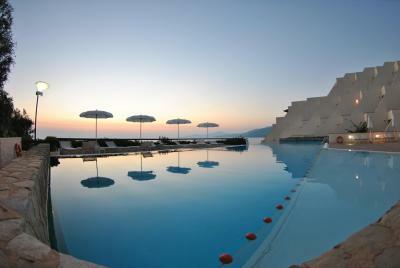 In addition to a variety of sport facilities on site, the Grand Hotel provides meeting rooms and a business center. Wi-Fi access is available at an additional cost. This is our guests' favorite part of Palinuro, according to independent reviews. 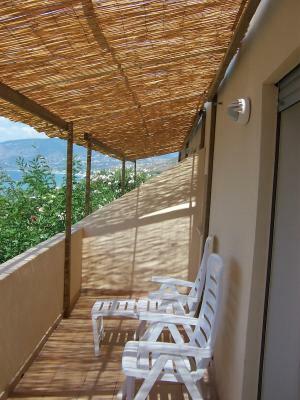 This property also has one of the top-rated locations in Palinuro! Guests are happier about it compared to other properties in the area. 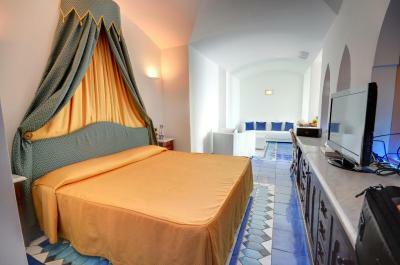 When would you like to stay at Grand Hotel San Pietro? 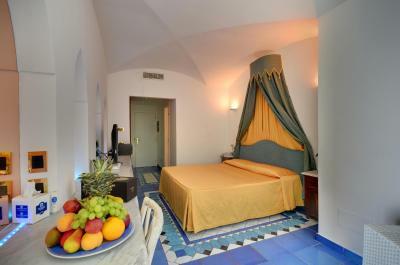 Standard rooms feature colorful Majolica ceramic decorations and a sea-view balcony. In addition to the listed amenities, this room type includes a plasma-screen TV. 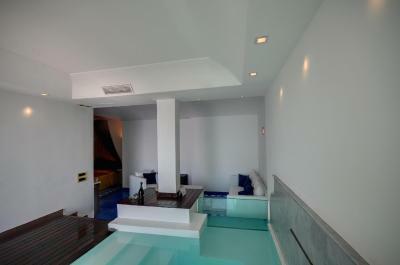 The private bathroom will be equipped with a hydro-massage bathtub or shower. Some connecting rooms are available upon request for this room type. 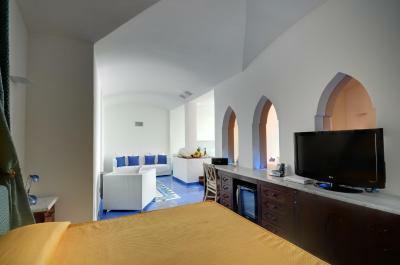 This spacious room type is decorated in green, blue, red and yellow. 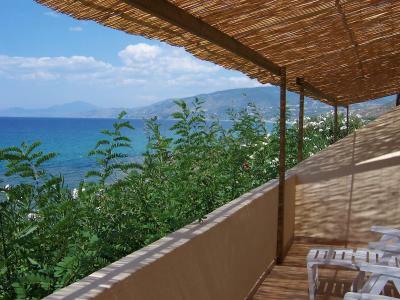 You will have a small living area, a bedroom with one double bed and a sea-view balcony. 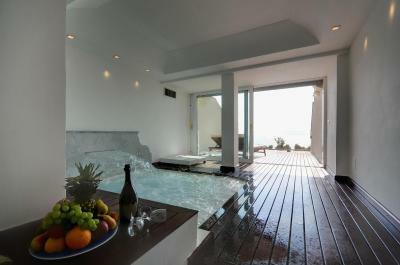 Some rooms offer a hydro-massage bathtub. Most rooms feature a sea-view balcony. 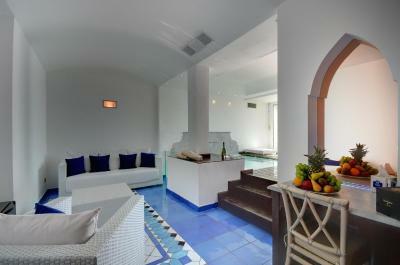 House Rules Grand Hotel San Pietro takes special requests – add in the next step! 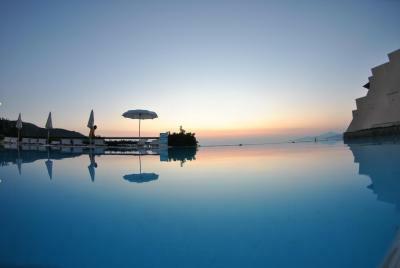 Grand Hotel San Pietro accepts these cards and reserves the right to temporarily hold an amount prior to arrival. 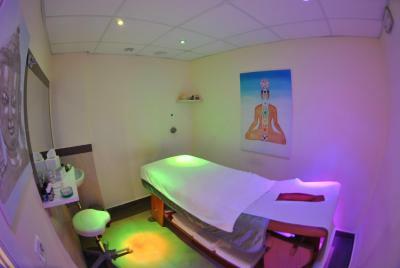 Please note that the wellness facilities and treatments are at a surcharge. If I had to find fault... We probably had the smallest balcony with the sun for only part of the day. 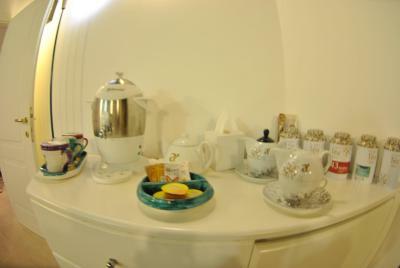 I also like to have tea/coffee facilities in the room and had to ask for a kettle but the lady found one within a few minutes and delivered it to our room. Thankfully, I brought my own tea and coffee. It's hard to find fault with this place. We absolutely loved our stay. 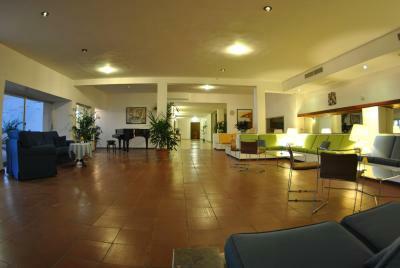 Nothing- we loved this hotel & its staff - we were immediately relaxed & we are seasoned travellers.